I think Frankie is a very photogenic cat and this picture proves my point. Do you agree? 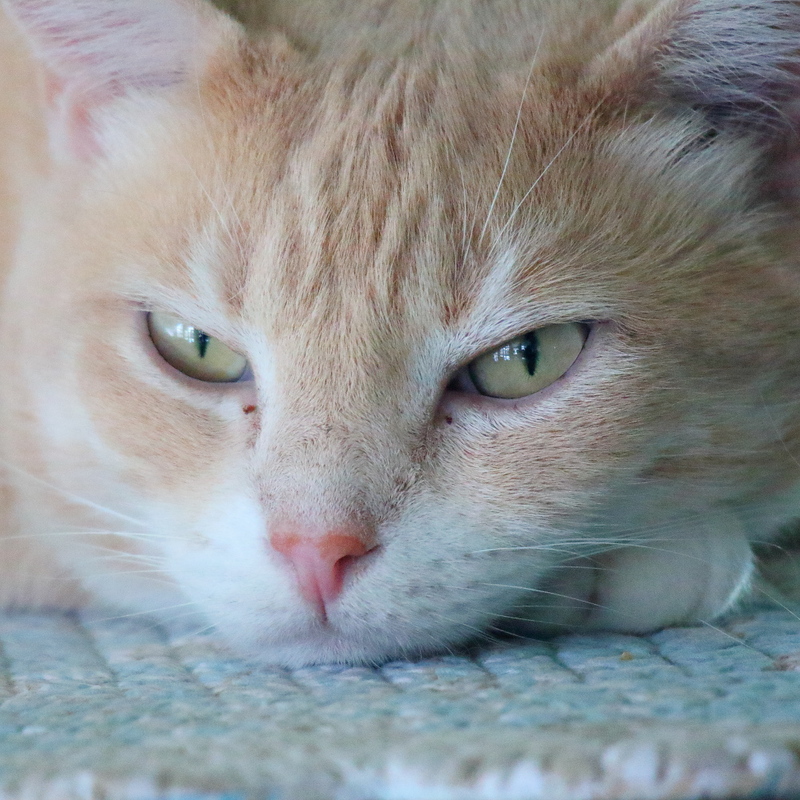 This entry was posted in Uncategorized and tagged cat, close up, ginger, gold on August 11, 2017 by Charles Huss. Gingers have a great reputation. Thanks. absolutely!!!! and I love all this feline wisdom in his eyes! He earned that wisdom. I think he was a stray or feral at one time in his life. He seems a bit confined indoors and he has an ear notch. Yes, I agree,Frankie is a very photogenic cat !!! He is! What a soulful face. love that handsome face! I agree a zillion percent!! He sure is a handsome guy. I think he is photogenic. Very nice photo.